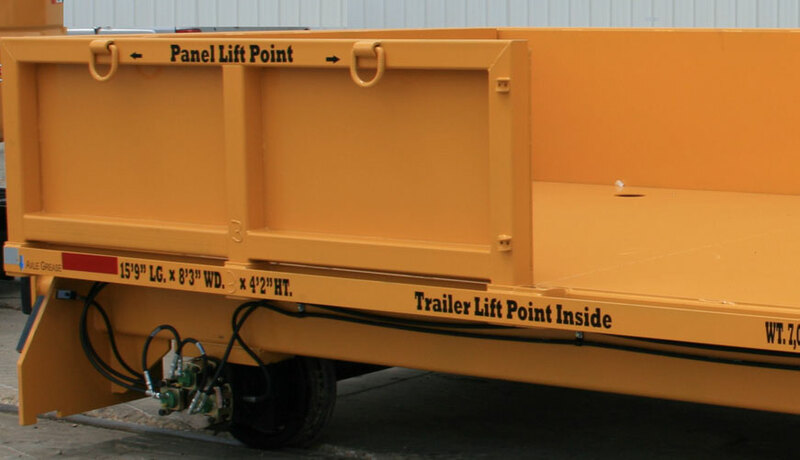 RCE manufactures various products including the Side Dump Cart, Material/Scrap Cart and Tie Handling Cart. 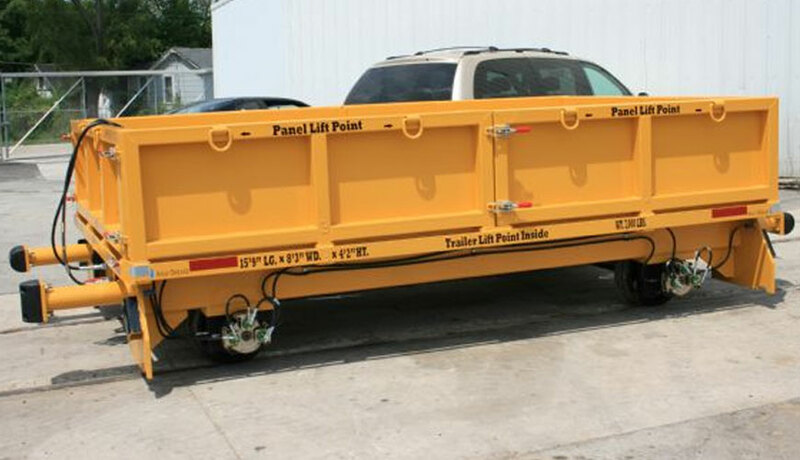 All can be custom build to desired specifications. 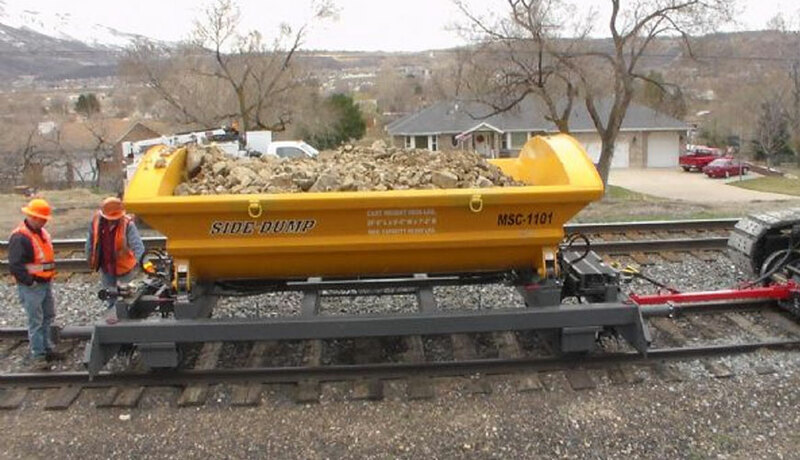 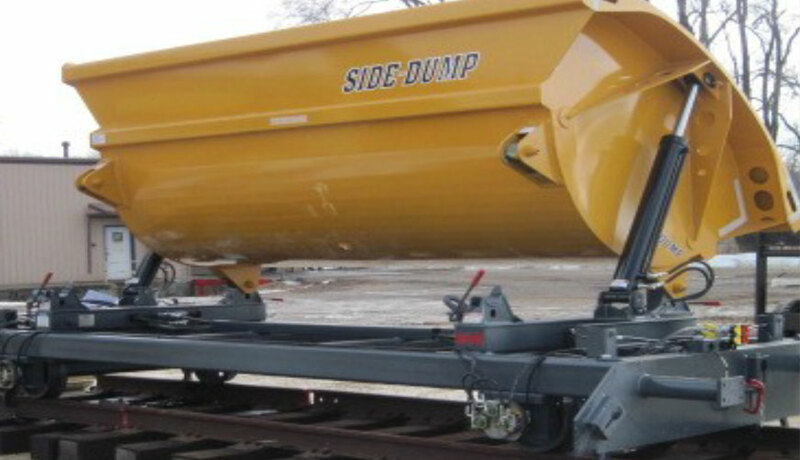 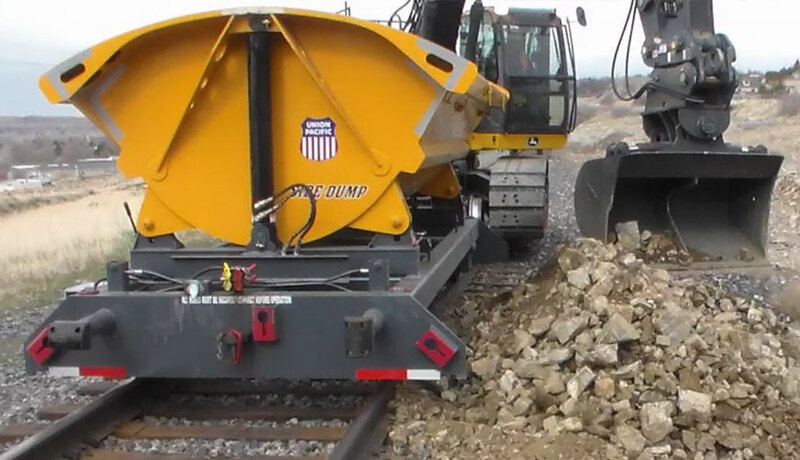 Offering one-of-a-kind advantages and unequalled options, our Side Dump Cart has 180 degree rotation to easily handle all types of materials from the comfort of the cab. 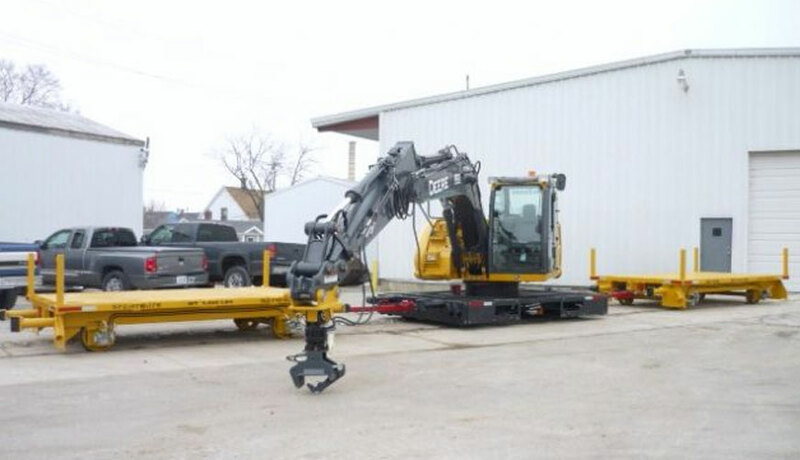 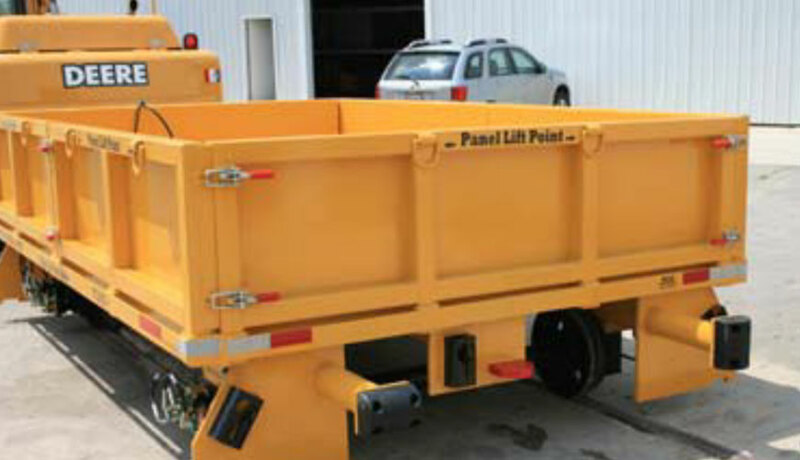 All material carts are built to your requested specifications. 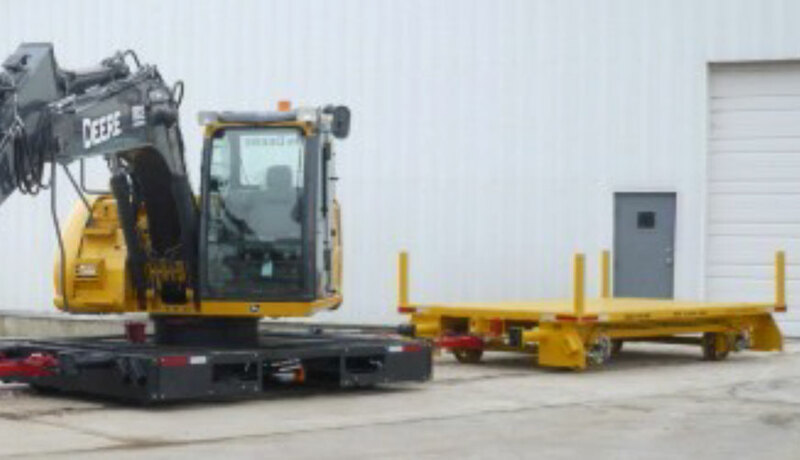 Need an efficient way to transport and distribute ties? 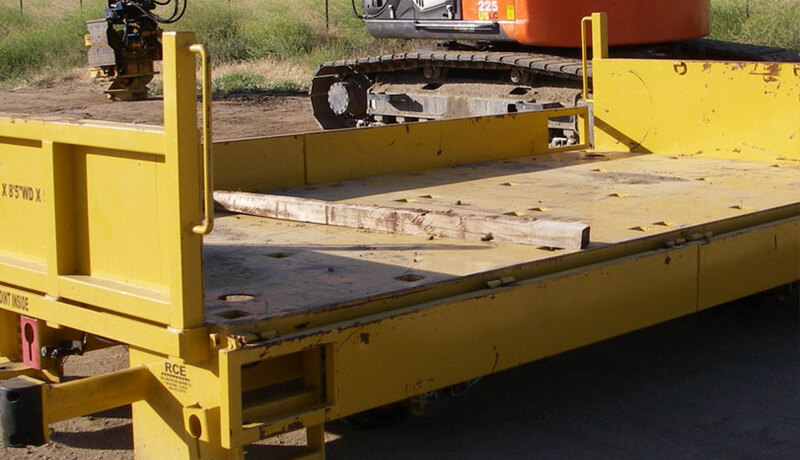 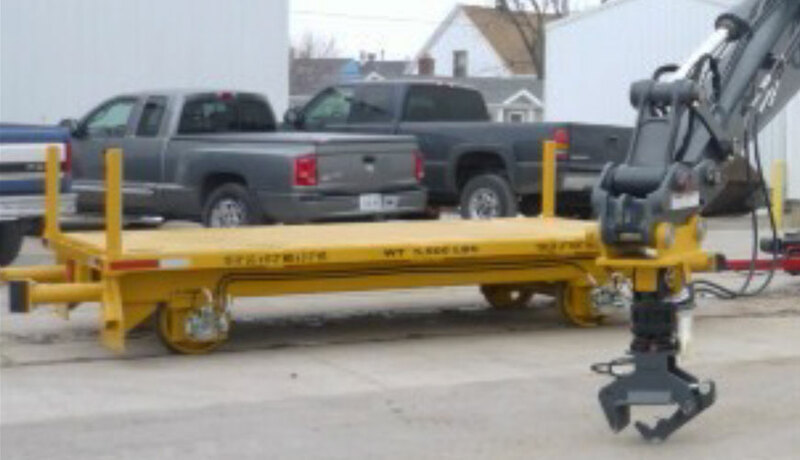 RCE builds tie carts to your required measurements. 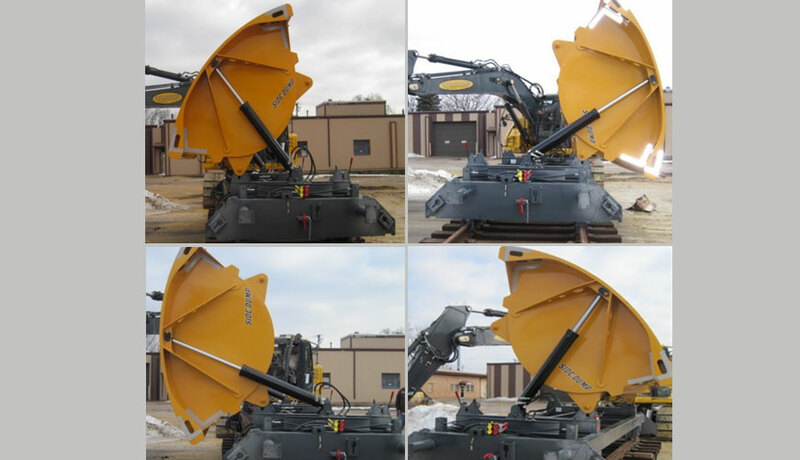 Connect them up with any one of the four models of Tie Cranes offered on both sides of the machine.